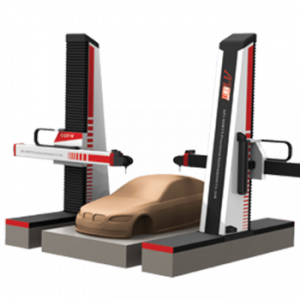 The API ARM is compatible with industry leading 3D laser scanners. Scan wide & fast with the utmost accuracy. CAD based 3D inspections can be simplified with the API ARM. The lightweight and portability of the API ARM allows for efficient CAD comparisons when scanning machined parts. 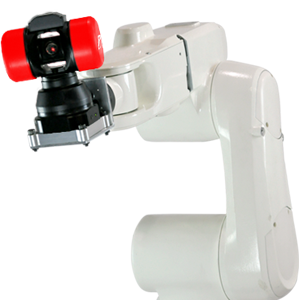 The API ARM's portability paired with a high-volume, accurate laser line scanner makes reverse engineering quick & convenient. Go beyond scanning small parts with the API ARM. When used with a Radian Laser Tracker, the ARM can scan large complex parts, vehicles, & even helicopters. Carbon fiber tubes, ergonomic handle, and integrated counterbalance allow scanning with minimal effort. With an integrated battery, WiFi connection, and temperature regulation the arm can perform wherever you need it. The API Arm can be paired with an API Laser Tracker to extend the overall working volume of the system while maintaining the highest level of accuracy. The handle of the arm conveniently attaches to the body when not in use. 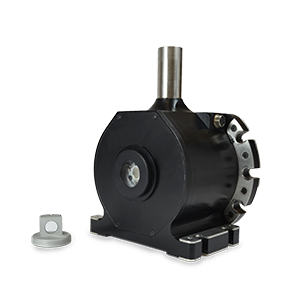 The API Arm is available in 2m, 2.5m, 3m, 4m, and 4.5m sizes to provide the perfect fit for your application.